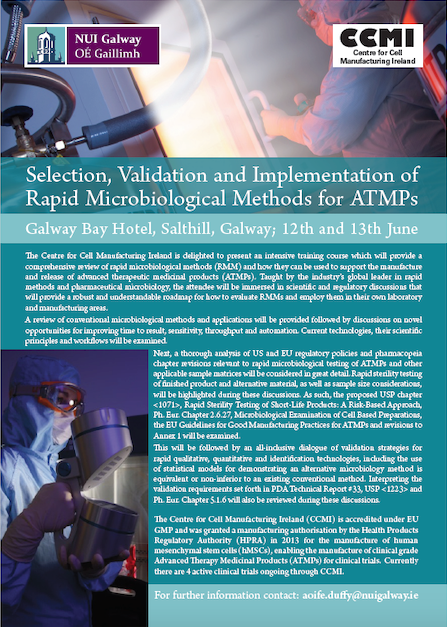 Share the post "Partners at CCMI, NUI Galway offer training workshops"
Our partners at the Centre for Cell Manufacturing Ireland (CCMI) based at the National University of Ireland Galway have organized a workshop series: “Selection, Validation and Implementation of Rapid Microbiological Methods for ATMPs“. 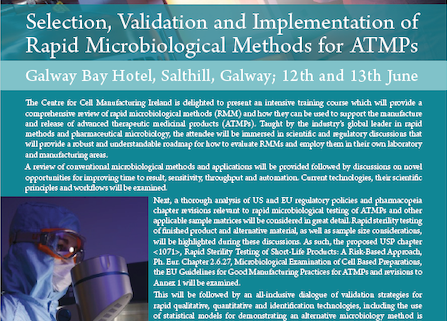 This event will take place in Galway, Ireland on the 12th and 13th of June 2019. 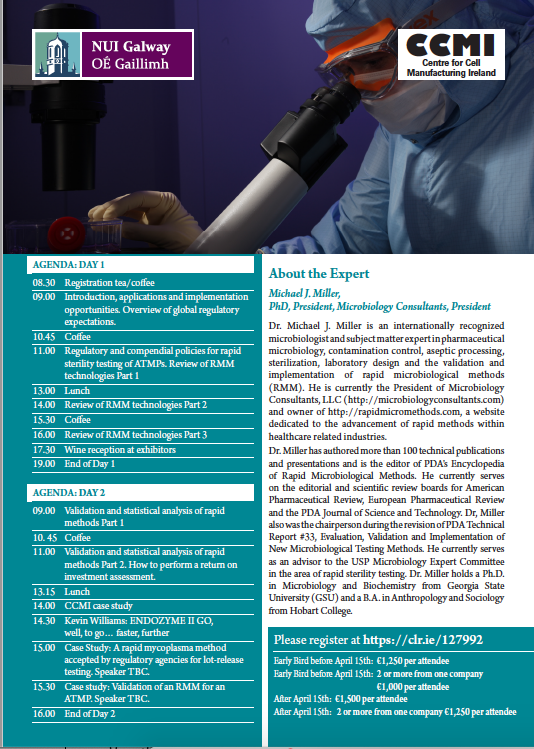 For more information, download the flyer here. This project has received funding from the European Union’s Horizon 2020 research and innovation programme under grant agreement No 643809. The material presented and views expressed here are the responsibility of the author(s) only. The EU Commission takes no responsibility for any use made of the information set out.